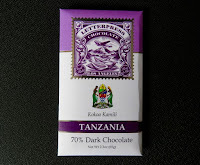 Welcome to Day #11 of Chocolate and Africa Theme Weeks. 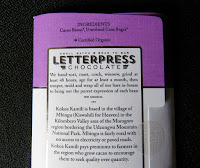 We're extending our "stay" in Tanzania by one more day, to cover today's 70% Tanzania Dark Chocolate bar from LetterPress Chocolate (Los Angeles, CA). 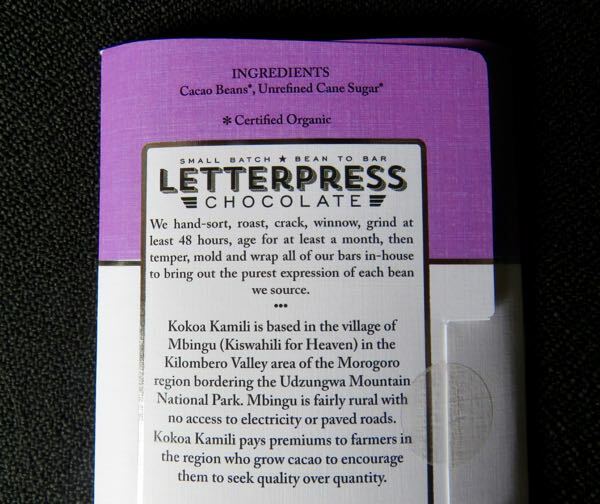 The cacao for this two-ingredient bar (cacao beans, unrefined cane sugar) came from Kokoa Kamili* in southern Tanzania. 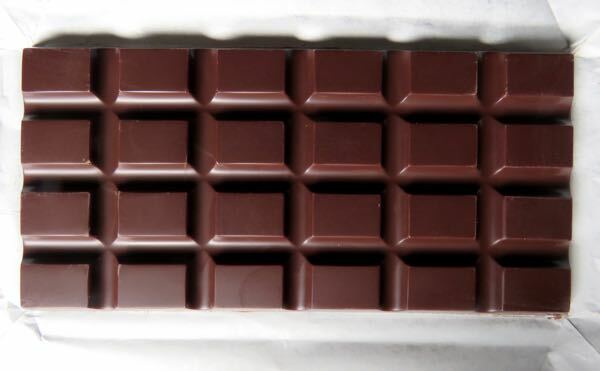 Unlike other bars made with cacao from this same organization, that were featured this past week, this 70% dark bar had less (red) fruit and a darker coffee, almost earthy, balanced flavor. The maker's tasting notes read: "green banana, peppery mocha." It's always interesting to see what roasting and flavor profiles makers create with their batch of cacao from a given origin. *Located near the Udzungwa Mountain National Park, in the Kilombero Valley area of the Morogoro region of southern Tanzania, Kokoa Kamili works with many cacao farmers to supply chocolate makers with the highest quality cacao possible. Like most cacao farming areas across the globe, the journey to get there is along unpaved roads.